So you understood it first time, did you? Liar. 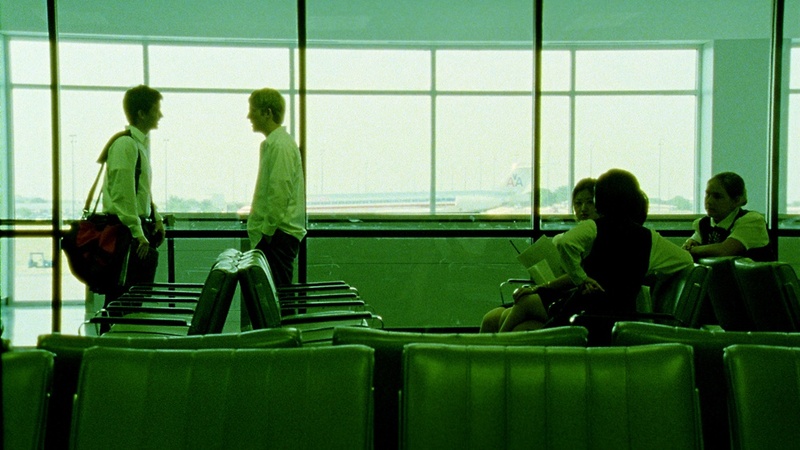 Primer is a simple story of time travel. And by simple, I mean...huh? The premise of the movie is actually simple. Man creates time machine, then pretty much fucks everything up. 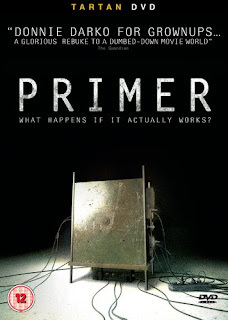 Boasting it's own Wikipedia page that attempts to explain the movie (which I'm not going to do here), Primer is undoubtedly a film about whether you should, veiled heavily in hard science fiction. It's a damn fine movie too. The problem the movie has, is that it is mindbogglingly complicated. Written, directed, and starring Shane Carruth (also Composer, Producer, Editor, and Cinematographer), Primer starts as it means to go on. The first minutes of the film are a drawn out discussion of advanced physics. It sounds very complicated, and I understood nothing. In fact it could, and has been suggested that it is, mumbo jumbo. 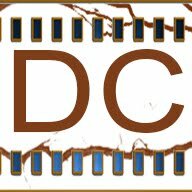 Once the film finds flesh it becomes intriguing. Two inventors, Aaron and Abe, seemingly stumble across proof of concept of time travel. Abe then refines the concept alone, and builds a box allowing him to travel six hours in time. Of course he uses it to jimmy with stocks and make money. Then he introduces Aaron to the machine. Then the two of them travel in time, there are multiple copies of them, they time travel with time machines to create new time machines...and welp. The film concludes with Aaron attempting to build another machine, in France, and Abe attempting to wipe out the whole experiment. Carruth is a competent Director. The breakdown of the relationship of the two protagonists is fierce, and as power is afforded them, they cannot cope. Clearly one of them is dealing better with it than the other, the other quickly becoming manipulative, distrusting, and devious. The ending of the film portrays where the two men end up within their own relationship. Under the hard science, there is a dark and gritty undertone, and the film is not, well, happy. It's not a light film, and shouldn't be watched instead of, say, Back to the Future.